On the supply side, the U.S. accounts for about three-quarters of the increase in global oil production through 2025, an astounding figure. But shale starts to fade in terms of importance after that date, with OPEC regaining its position as the main source of supply growth. Related: Could Brazil's Oil Sector Trigger An Economic Miracle? In fact, the IEA said that even as U.S. shale continues to grow, there is a danger in the oil market becoming overly dependent on shale. After the oil price crash in 2014, the oil industry severely cut back on spending. That has translated it into fewer discoveries and fewer new projects being developed. Global upstream spending has started to tick up in the past year, but only slowly, and the IEA fears that at this pace, the oil market could be hit with a supply problem in the 2020s. The agency has stuck to this line of argument for a few years now, and this year’s outlook was no different. “If these approvals do not pick up sharply from today’s levels, US tight oil production would need to grow to over 15 mb/d by 2025 to satisfy demand,” the IEA warned. But it is far from clear if U.S. shale can reach as high as 15 mb/d. In fact, the IEA’s base case has U.S. shale topping out at 9.2 mb/d in the mid-2020s. 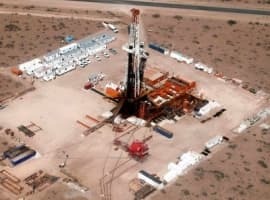 If conventional spending doesn’t increase dramatically and U.S. shale cannot take on the huge task of growing to 15 mb/d, “there is a real prospect of damaging price spikes and increased price volatility,” the agency warned. An alternative “Sustainable Development Scenario,” which includes “determined policy interventions” by governments to curtail consumption in pursuit of climate objectives, would see oil demand peak as early as 2020 at 97 mb/d. Moreover, demand would peak in all countries by 2030. In this scenario, the number of EVs on the road would hit 930 million by 2040, more than triple the agency’s main scenario. If that occurred, it would erase around 18 mb/d of oil demand by that date. In this sustainable scenario, both oil production and prices would have to be much lower. That would put high-cost production at risk, and only low-cost producers would survive, many of which are part of OPEC. Overall, the IEA’s message is that oil demand will grow in the medium-term before flattening out and ultimately hitting a peak by 2040. But in the interim, the shortfall in spending by oil companies could translate into a supply shortage in the mid-2020s. 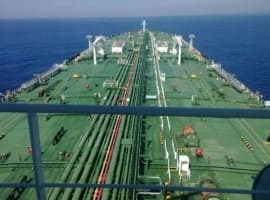 Although this very same issue has been tackled many times before by you and other contributors to the oilprice.com, it is important to correct the figures and projections put forward in your article. Three issues stand out in your article: an oil supply crunch, peak oil demand and projections by the International Energy Agency (IEA). 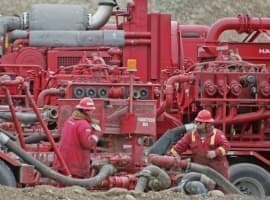 An oil supply crunch could happen as early as 2021/22 if global investments in oil projects don’t rise high enough to provide some 15 million barrels of oil a day (mbd) needed by then to meet a projected annual average rise in global demand estimated at 1.59 mbd and also offset an annual natural depletion rate in global oil production estimated at 5% or 4.8 mbd, virtually equivalent to Iraq’s current production. Global oil demand will never peak for the simple reason that there will never be a post-oil era throughout the 21st century and probably far beyond. Even a wider usage of electric vehicles (EVs) into the global transport system will not change that outlook. However, it can decelerate the rate at which global oil demand is growing but will never replace oil as the major transport fuel nor lead to a peak oil demand. Moreover, how could an alternative “Sustainable Development Scenario,” which includes “determined policy interventions” by governments to curtail consumption in pursuit of climate objectives, would see oil demand peak as early as 2020 at 97 mbd when oil consumption in 2018 has already hit 100 mbd this year. The projection by the IEA that there could be some 300 million EVs on the roads by 2040 is just a myth. Still, let’s assume hypothetically that it is possible. Global oil consumption has already hit 100 mbd in 2018 and is projected to reach 120 mbd by 2040. Currently, electric and hybrid cars combined number under 2 million cars out of 1.477 billion internal combustion engines (ICEs) on the roads worldwide, or a negligible 0.14%. This is despite support by significant government subsidies. The total number of ICEs is projected to reach 2.79 bn by 2040 according to US Research. Let us assume hypothetically that we might have some 300 million EVs on the roads by 2040. By that time the world will be using 43.8 billion barrels a year (bb) of which 75% or 32.85 bb will be used to power 2.790 billion ICEs around the world. Bringing 300 EVs on the roads will reduce the global oil demand by only 3.53 bb (9.57 mbd) or 8% to 100.43 mbd by 2040. However, I hasten to add that even 300 million EVs by 2040 is an impossibility. The reason is that current manufacturing capacity of EVs amounts to only 500,000. So it will take many decades to manufacture 300 million EVs. Moreover, there will be a need for trillions of dollars of investment to expand the global electricity generation capacity in order to accommodate the extra electricity needed to recharge 300 million EVs. Last but not least is that projections and figures offered by the IEA and masqueraded as research have been discredited time and again. Why this misleading article? Oil demand will sure fall by 33-35% within the next 11 years. I have detailed analysis. By that time solar power generation may replace all the oil based power generation plants. Fuel cars, buses, trucks will be passe with zero production capacities. Aviation is trying hard to go electric hoping the battery tech breakthroughs. Fuel oil or furnace oil used in the industry is expected to be replaced by the cheap solar energy. From where the additional demand will come? Oil imports by USA, China may become negligible. The need to earn for most of the oil producing countries those became totally dependent on it, including Russia and Saudi, will see oil prices below $40/b. The signs are already here. In spite of threatening production cut, the oil is refusing to see price rise. Max 2-3 years for oil producing countries to earn through high rates by manipulating oil production. How does all the electricity get made in order to power the EV's that are 'taking over' and increasing? It will have to be done by fossil fuels. Solar and wind can't make up the increase. Demand will be there, it will just be in a different sector. No sane person believes that there will ever be enough windmills or enough miles and miles of solor to power that many cars. (even if they could be built, what happens on no wind day or cloudy days. Electricity comes from natural gas or coal. The best we can do is get rid of the coal. The natural gas business will be here and be strong for your grandchildrens lives. It will keep them from freezing to death in the dark.